Learn the art of throwing knives from one of the best, Gil Hibben! Includes detailed photos and diagrams. 64 pages. I wish the guide included the kunai! But no matter it has LOTS of good advice and tips, even how to build your own target! Covers the basics of stance, grip, movements, release and follow through. great for beginners! 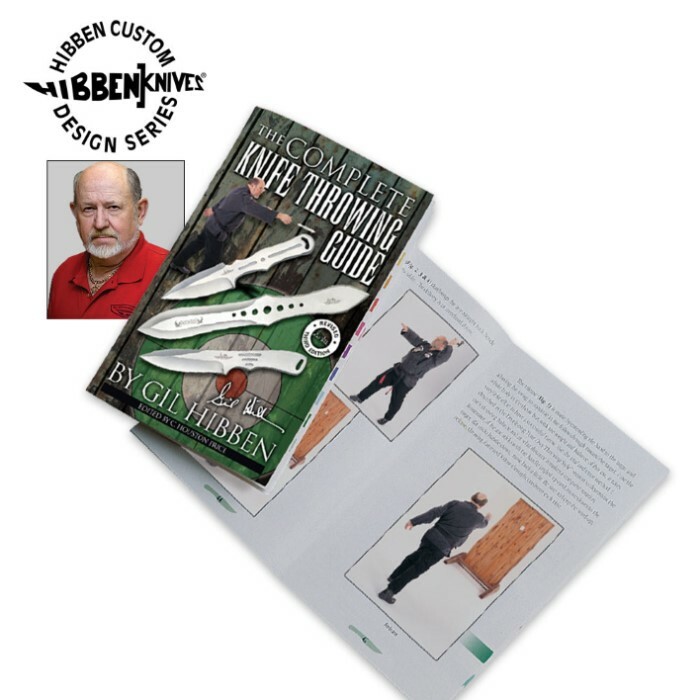 If you are looking to learn how to throw knives this is a great starting place! A very good book. I've been a fan of Mr. Hibben for years. This book is exactly what it says it is. If you're looking for a trick throwing guide. This is not the book for you. But, if you want to learn the basics, get a good standard knowledge of how and why things are done? ?.....Then this is the book for you. 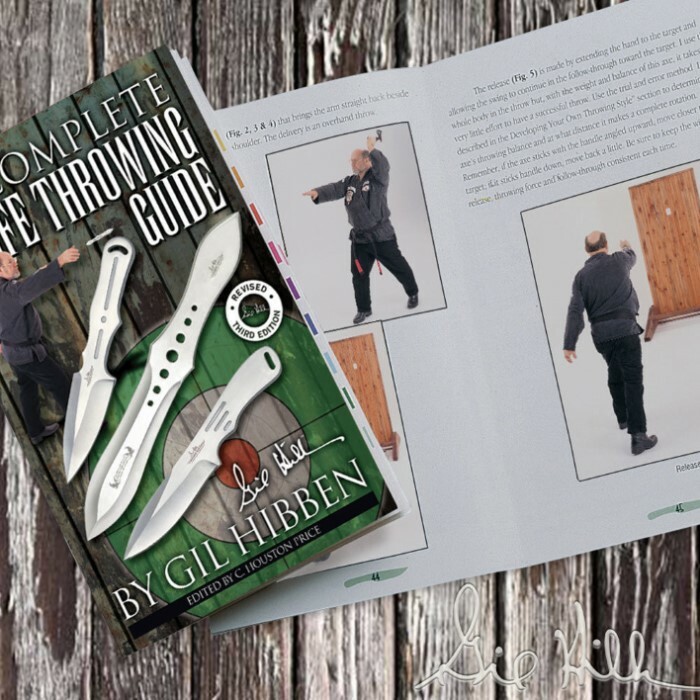 From throwing basics, to target construction; this book is "A" #1. From a professional thrower who's been throwing for years, to the novice; this book would be an excellent addition to your library. smaller than I expected... as in the book is literally a smaller size that I expected. It would be a good pocket book to carry with you during practice. It gets very detailed into the physics of the throw - equations included for you science/math buffs. Worth it for $9! right direction. It gives you throws and hold and sort of helps you pickout the right knife for you. But if you are looking for more instrucktion on how to throw knifes then this might not be for you. It is more of a sort of "here is the information, get going." But it will definatly help you with knife throwing skills.